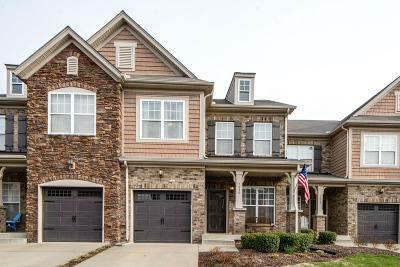 Lovely 3 Bedroom, 2.5 Bath Townhome with easy access to I-65 and I-24 in the highly sought after Village of Burkitt Place! Private garage, hardwood floors, master suite on the main level, large kitchen with island. open living area, separate dining room, spacious laundry room, 2 large bedrooms upstairs, loft area that is perfect for a home office or playroom. Community amenities include pool, tennis, and walking trails. HOA maintains all outside features. Make an appointment today!